Mexico’s ambassador to the United States told CBS News there is a 50% chance that the end result of NAFTA negotiations will be termination of the trade pact. Mexico, the U.S. and Canada just concluded a fifth round of negotiations. President Donald Trump made it a priority upon taking office to renegotiate the trade pact, claiming it hurts U.S. businesses. U.S. trade representative Robert Lighthizer has previously said Mexico and Canada were not negotiating seriously. “I remain concerned about the lack of headway. Thus far, we have seen no evidence that Canada or Mexico are willing to seriously engage on provisions that will lead to a rebalanced agreement. Absent rebalancing, we will not reach a satisfactory result,” he said in November. Following the fifth round of negotiations, Gutierrez said some progress is being made. The next round of talks begins Jan. 23 in Montreal. He also said that while Mexico would not pay for a border wall, as Trump has called for, there have been discussions of a “user fee” to fund a border entry between Tijuana and San Diego, which is among the busiest commercial routes along the border. “There have been preliminary discussions on that matter, and I think both sides are open,” Gutiérrez said. 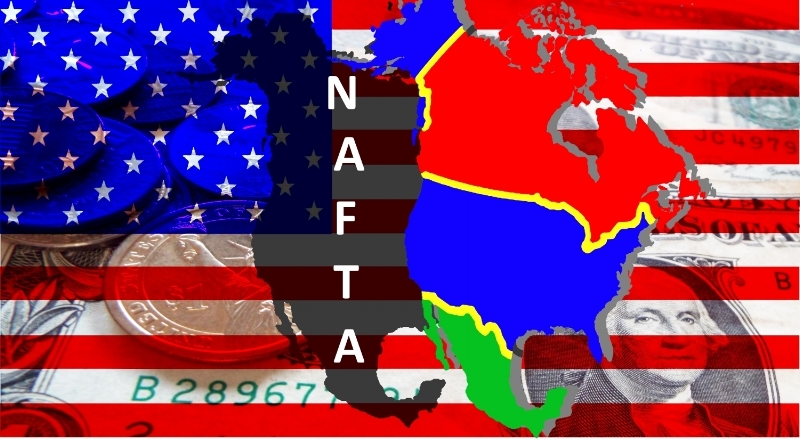 American Trucking Associations Chief Economist Bob Costello, in October, said that group is in favor of updating NAFTA, but not eliminating it. Seventy-one percent of all surface trade value with Canada and 82% of surface trade value with Mexico is hauled by trucks, he said. There are 12 million truck border crossings per year in the U.S. with Laredo, Texas, seeing close to 6,000 per day. Half of all manufacturing jobs in the U.S. today are supported by NAFTA trade, he said, with trade contributing to 14 million U.S. jobs overall. According to a DriverIQ survey of 23 of the top 25 carriers, 40% expect driver turnover to remain at current levels in the first quarter of 2018 while 25% believe it will get worse. While participants are still working towards an updated NAFTA agreement, the Mexican ambassador to the U.S. says there is a 50% chance the trade deal will be terminated. While that sounds ominous, it could actually be a sign of progress being made and Mexico trying to improve its negotiating stance. Time will tell, of course, but it’s a continuing situation that bears monitoring.